Dr. Martin Verhoeven, when training under Venerable Master Hsuan Hua, undertook the bowing pilgrimage dedicated to world peace with Reverend Heng Sure. He graduated with a Ph.D. from the University of Wisconsin-Madison. His areas of interest are the historical teachings of Buddhism and the process of religious acculturation. Dr. Verhoeven has studied and lectured extensively throughout Asia, Europe, the United States, and Canada. Currently, he is the Dean of Academics at Dharma Realm Buddhist University (DRBU). He teaches at the Berkeley Buddhist Monastery every Friday evening on the Sixth Patriarch Sutra. Dr. Amelia Barili graduated in 1972 from Kaivalyadhama Yoga Institute in India, with a Diploma on Comparative Philosophy of Religions and Classical Yoga and has taught yoga philosophy for many years. She is a disciple of Grandmaster Yang Mei Jun, the 27th generation inheritor of the Taoist Medical Qigong system, and has also studied other forms of Qigong. Dr. Barili, a faculty member of UC Berkeley and the Dharma Realm Buddhist University, has brought these ancient contemplative practices into the academic environment and teaches meditative techniques as tools to overcome stress and foster deep learning. 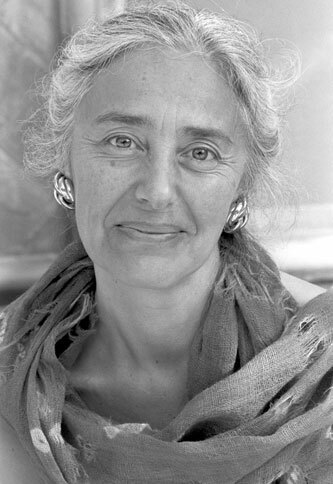 She has co-lead retreats with physicist Fritjof Capra on "The Emerging Consciousness" and with abbot Ajahn Amaro on "Entering the Now." At UC Berkeley, in her course "Borges, Buddhism, and Cognitive Science," she begins each class with brief meditations to foster the students' ability to focus and observe their minds. She also teaches "Borges on Buddhism and Buddhism in Borges" and "Borges, Buddhism and Dreams" at OLLI (Osher Life-Long Learning Institute) for the Berkeley adult community. At the Berkeley Buddhist Monastery, she has taught the classical 2.500 year-old treatise "The Yoga Sutras of Patanjali," and continues to teach the semester-long session "Integrating Classical Yoga and Taoist Qigong" on Monday nights. Mr. Douglas Powers hold an M.A. from GTU and a B.A. and an M.A.T. from the University of Redlands. He is Vice President of Finance and Administration at Dharma Realm Buddhist University and currently teaches an assortment of classes ranging from Buddhist Sutras to Western philosophical treatises. Doug also taught at Berkeley High School for over 40 years. Doug teaches every other Monday night. 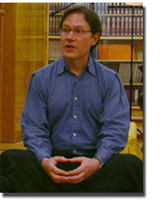 Steven A. Tainer has studied Eastern contemplative traditions intensively since 1970 with many Tibetan, Chinese and Korean masters. After practicing for a number of years in both mountain retreats and ordinary life circumstances, he now teaches Buddhist, Taoist and Confucian fundamentals. His specialties are Indian Buddhist philosophy, the "Unity of the Three Traditions" in Chinese thought, Taoist yogic practice, and Ch'an contemplation. 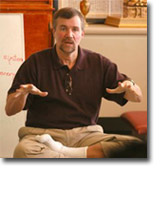 He is a core faculty member of the Kira Institute (www.kira.org ), which explores the interface between modern, scientifically-framed perspectives and matters involving human values. He is currently collaborating with his Kira colleagues on books dealing with these subjects. 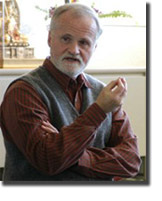 Working on behalf of his teachers, Mr. Tainer has been the coauthor or editor of over eighteen books on Buddhism and Taoism (including Dragon's Play, and Time, Space, Knowledge). A new series of books on his own meditation teaching is also in progress. He is currently teaching a course in Buddhist meditation every Wednesday evening at Berkeley Monastery.